Get weekend ready in this must-have bodycon dress. 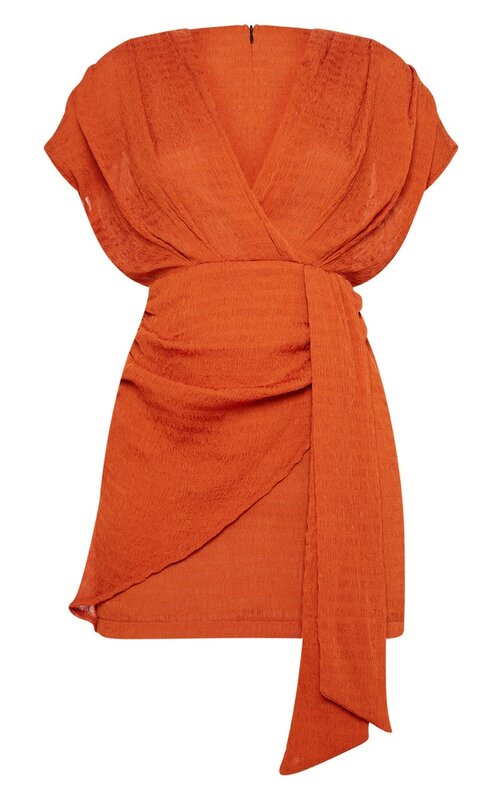 Featuring a burnt orange textured material with a flattering plunge neckline and drape detail, what's not to love? Team with strappy heels and gold statement accessories for a weekend worthy look we're loving.